The Upbeats traveled to California last weekend to perform in front of a Disneyland audience. Marshfield’s dance team, coached by social studies teacher Debbie Brown, was invited to a skills camp in Disneyland this year along with several other teams. Senior captain Ireland Gerber said the team was excited after applying to get into the program. “We had to apply and send in videos of our performances,” Gerber said. According to Gerber, the team spent time in dance classes as well as on stage. 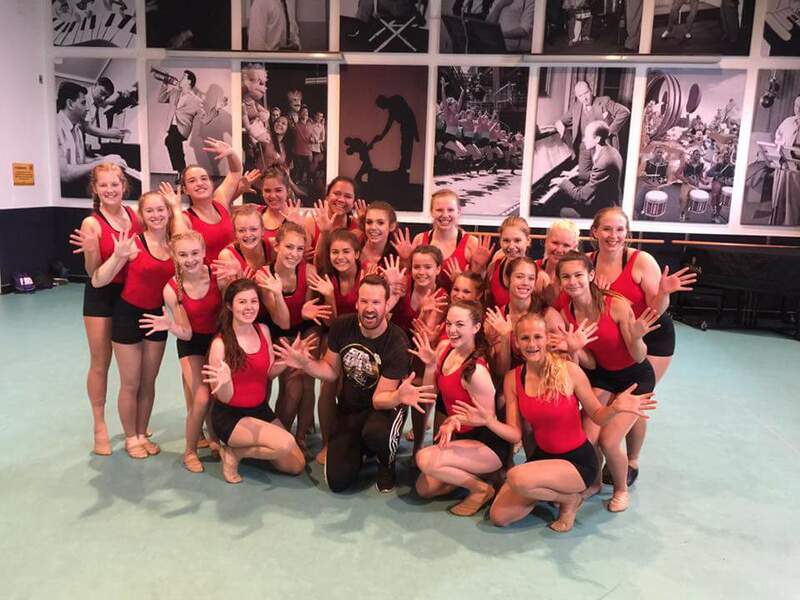 The team was involved in two different classes with experienced instructors, one of which works as the choreographer for Disney’s parades and shows. The team also performed on stage in the California Adventure Park. Gerber said it was a positive experience for a team that rarely gets opportunities like this. “I think it’ll have a good impact and I think we will keep what we learned in mind for future performances,” Gerber said. Junior Kayla Wyatt said the team enjoyed their time in Disneyland. “I think we did really, really good. It was a little scary because we had never danced on that stage before, but it was very fun,” Wyatt said. According to Wyatt, the classes at Disneyland were very helpful to the team. Wyatt said that the team grew closer, which is something that will help the team dance better. “Getting closer with everyone on the team was the best part,” Wyatt said.